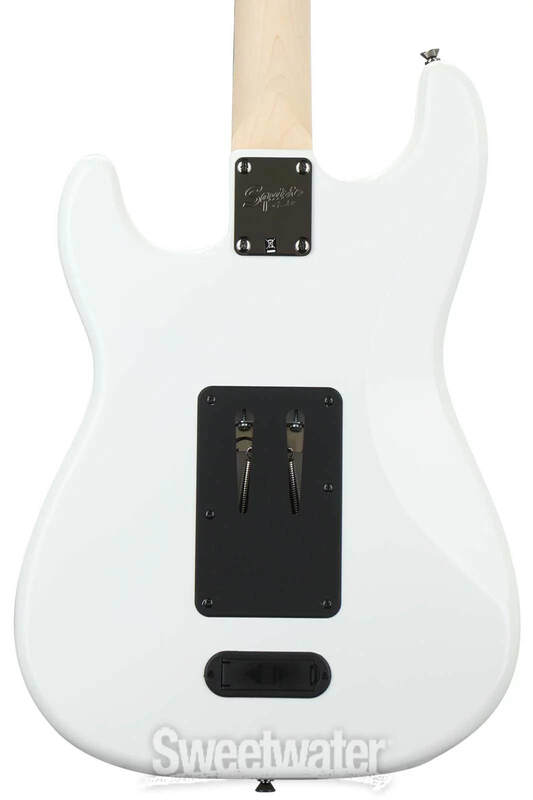 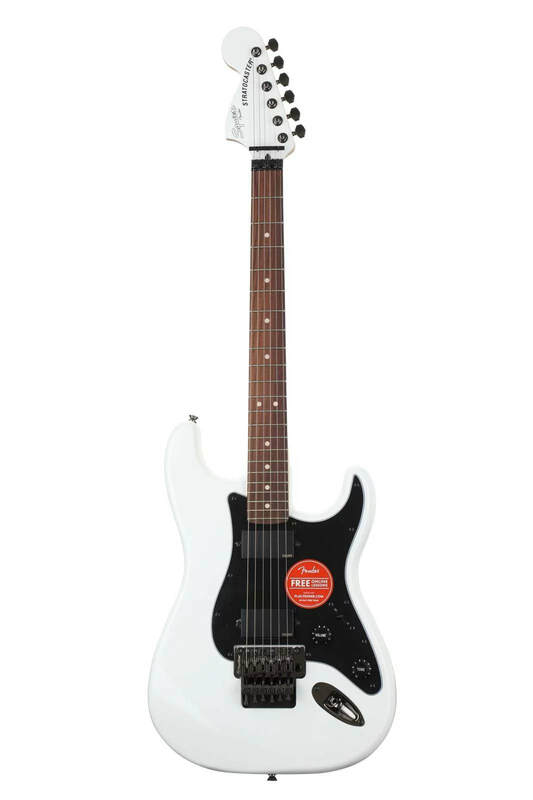 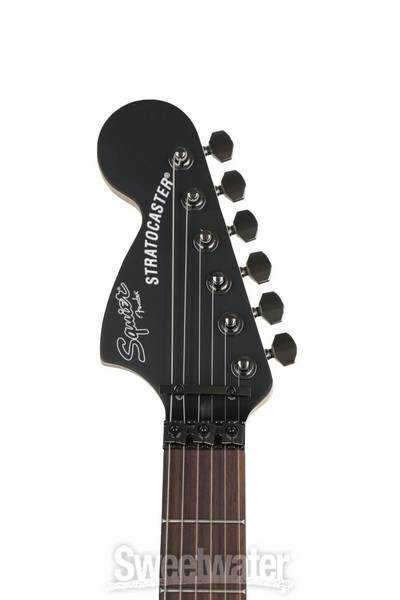 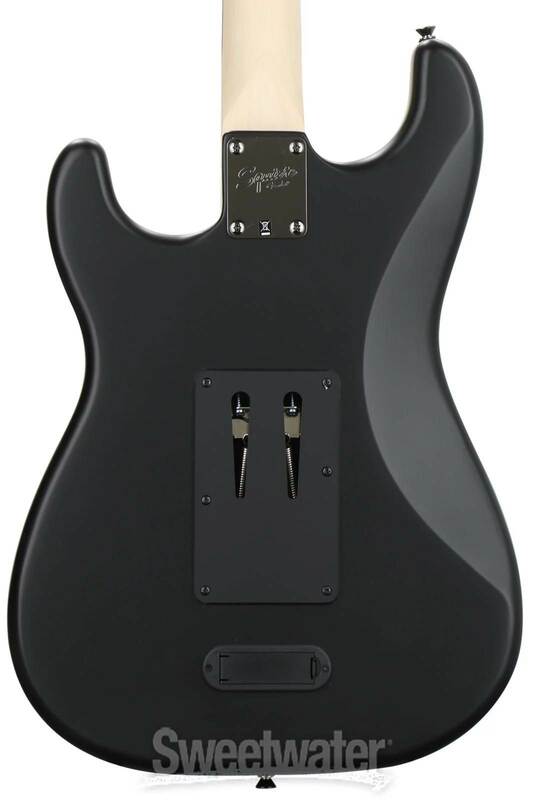 Other Decals, front: "STRATOCASTER", "BY Fender"
The Squier Contemporary Active Stratocaster HH is an outstanding choice for the modern player seeking progressive features in a guitar that has authentic vibe and style. 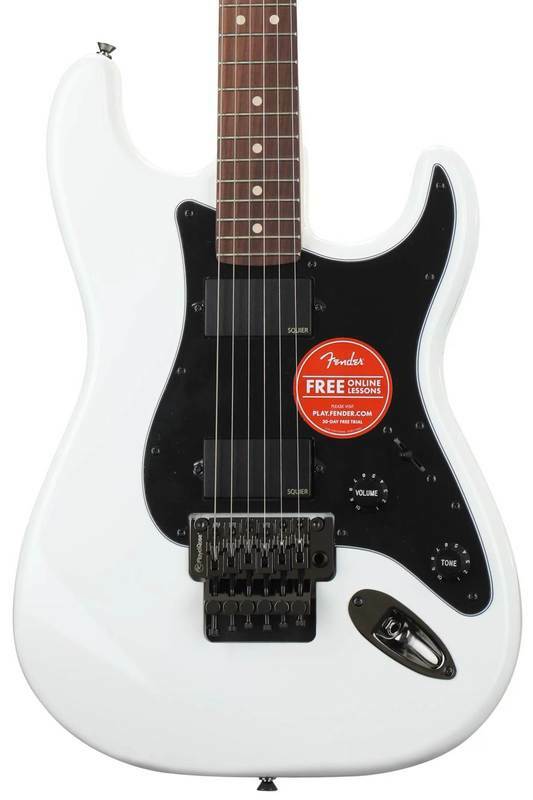 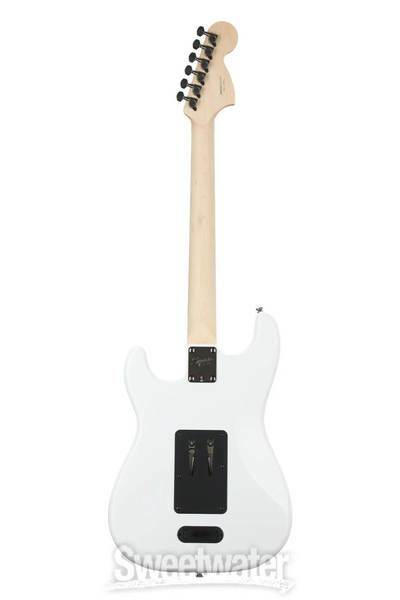 Player-friendly features like a slim “C”-shaped maple neck give this guitar a slick, smooth feel, while the 12” fingerboard radius and narrow-tall frets are ideal for speed and effortless bends. 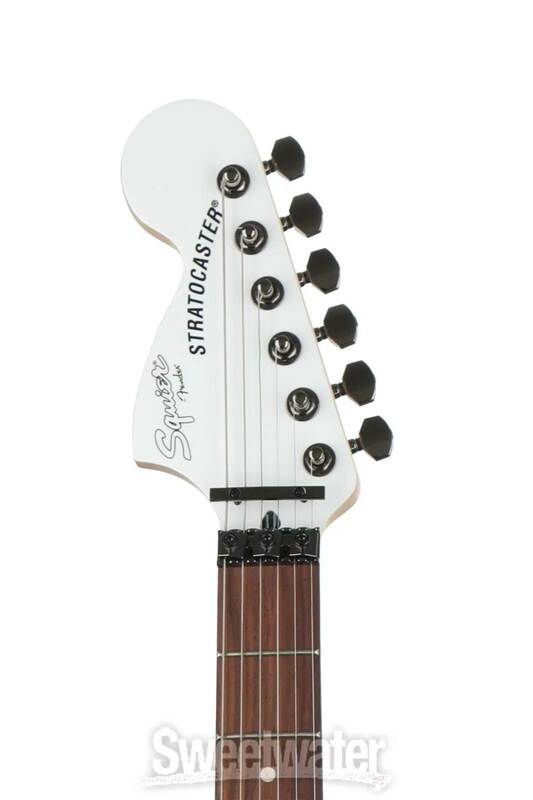 A dual-locking Floyd Rose tremolo system invites the most extreme vibrato by maintaining reliable tuning stability. 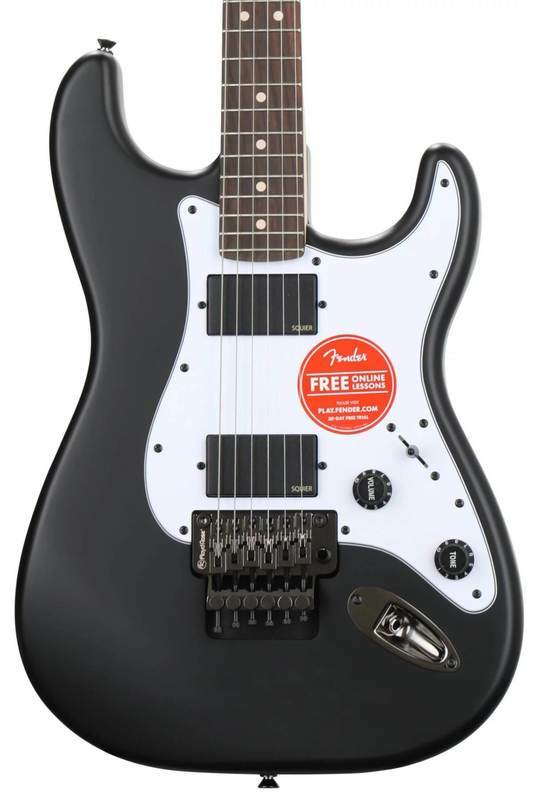 The dual Squier active humbucking pickups boast hot output for powerful tones perfect for crunchy rhythms and soaring solos. 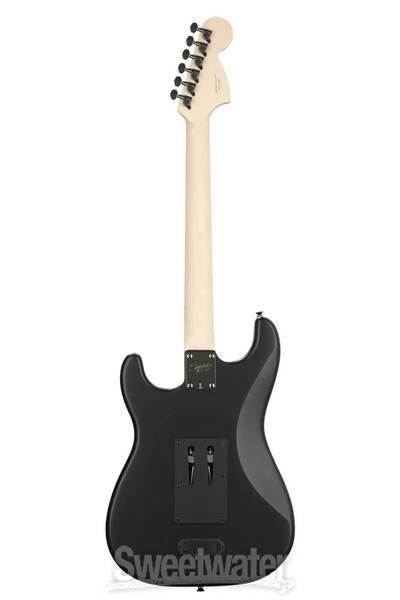 Premium styling cues include black chrome hardware and an eye-catching matching painted reverse headstock that’s sure to turn heads. 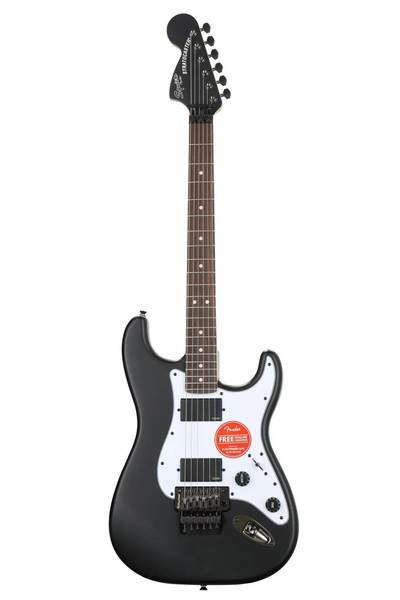 With its combination of timeless Strat style, player-centric features and incredible tone, the Contemporary Active Stratocaster HH is the perfect hard-rocking addition to your arsenal.